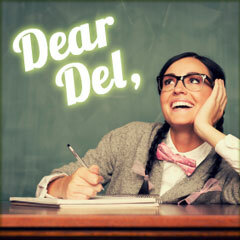 Dear Del: Why do I have 2 project managers? Why do I always hear DelCor say that I need to have a project manager on my association’s project team for our software implementation? I’ve looked at the vendor’s detailed pricing proposal and they’re charging me for project management. I don’t want to pay twice. Are Two Project Managers Better than One? Vendors do typically include project management (PM) as part of their implementation services – as they should. However, the vendor’s PM is for managing their project activities – and they are not including time to manage your association’s project responsibilities, resources, timeline, and budget. Having aninternal PM resource focused on ensuring that your project team is meeting their responsibilities – as well as keeping an eye on how the vendor is managing your project – is critical. We like to emphasize the fact that you and your selected vendor are working as partners during a software implementation, but keen oversight is still required. We’ve seen so many projects slip (regardless of how good the software may be) when an association does not have a strong internal PM resource. How much time should I expect my PM resource to spend on the project? While it varies based on your particular project needs and vendor, it is common for the initial phases of implementation to require 80-100% of your internal PM resource’s time. The amount of time required of the project manager will also vary throughout the project, but it’s important to ensure that your internal PM resource will be available when needed – not dedicated to some other project or task. Remember, if a project is not properly managed and internal resources are insufficient to support the project, there is a high probability that the project will not be successful.